Sheboygan drum teacher, percussionist for the Manitowoc Symphony Orchestra and other performing groups, and an active drummer for hire. 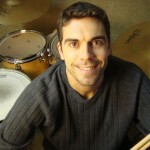 Mr. Stokdyk has been teaching private drum lessons for 20 years. This entry was posted in Drum Lessons and tagged drum lessons, drum lessons sheboygan, drum teacher, sheboygan, sheboygan drum teachers on January 1, 2013 by Sheboygan Drums.